Venezuela’s economic collapse ranks as one of the worst in modern history, an International Monetary Fund official said on Friday. With an expected contraction of 15 percent this year, and 45 percent over the last five years, the collapse ranks among the most extreme of the past half-century, said Alejandro Werner, director of the IMF’s Western Hemisphere Department. “It is one of the worst economic crises we have seen in modern economic history,” Werner told reporters. The country also faces hyperinflation, with prices expected to rise 13,000 percent, he said during the spring meetings of the IMF and World Bank in Washington. The oil-rich nation has seen a “spectacular” drop in crude production falling by half in the last 18 months, he said, which is a major problem for the cash-poor economy. The country saw deadly protests last year, and people struggle with scarcities of basic food and medicine. The International Organization for Migration says nearly a million Venezuelans have left the country over the past two years. Many head to Brazil, Colombia and Panama, and often beyond. 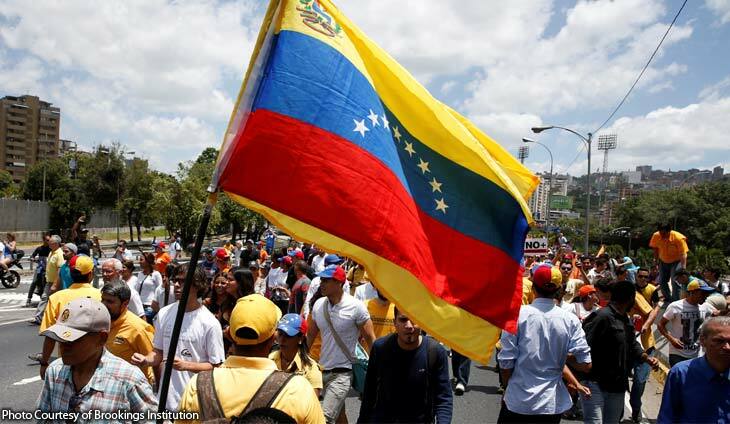 Washington has imposed tough financial sanctions on Venezuelan officials and entities, which prevent them from accessing international credit through US markets, speeding the economic ruin in the once prosperous South American country.